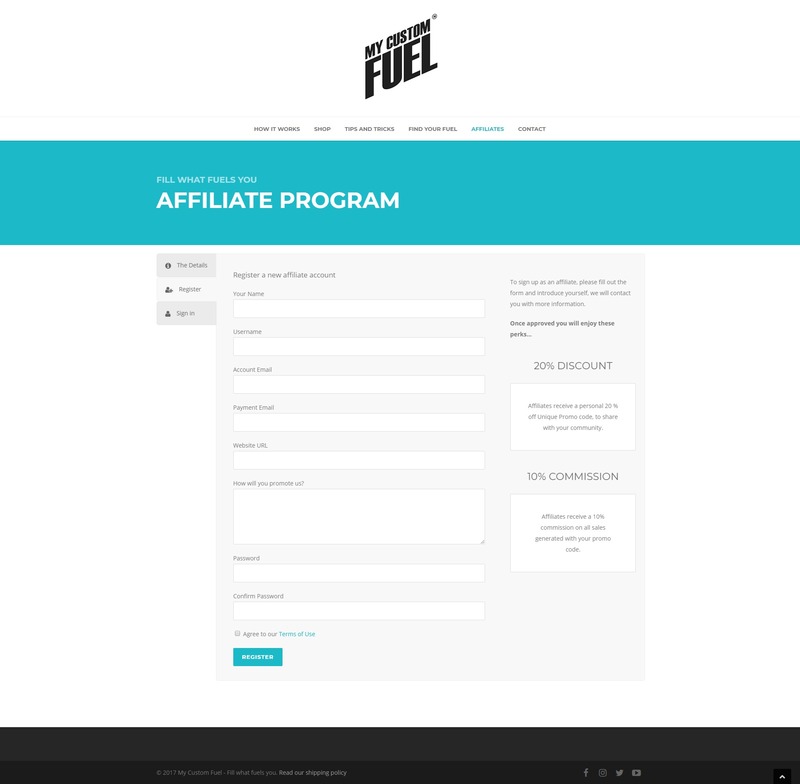 My Custom Fuel is a pouch sealer kit that allows you to support anything you do with a personalized blend of whatever fuels you, great for: gels, oils, butters, supplements & your imagination. The product was created by a marathon runner that saw a niche in the market. 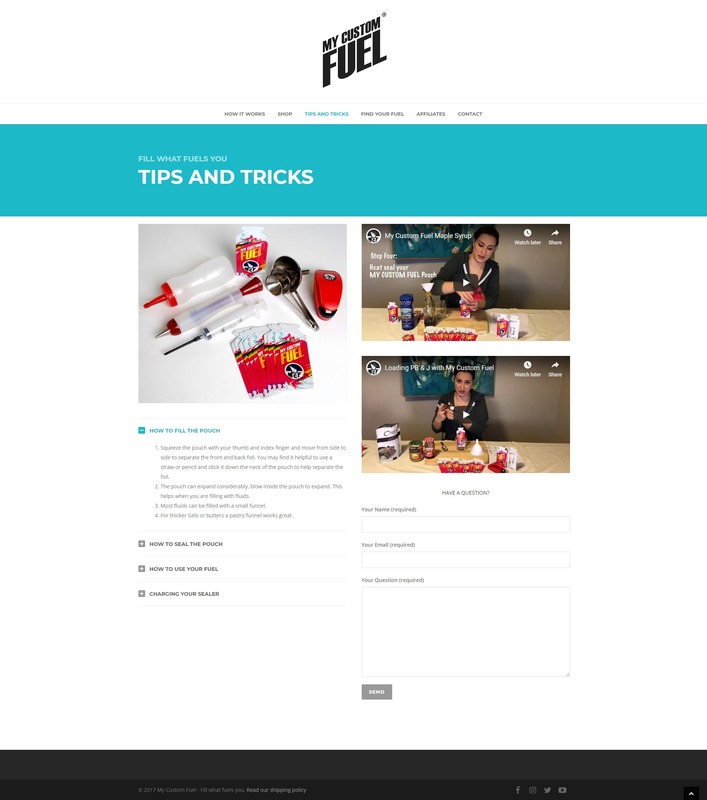 They wanted to have an online store with Canada post integration for worldwide shipping and the ability to run an affiliates program for fitness influencers that like their product. They wanted to make sure that people in the industry saw the value of their product for their training.